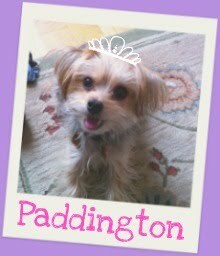 Samantha is a twenty-something New Yorker, and Paddington's partner-in-crime/chauffeur. In her spare time, she is a social media strategist. She started Barkzilla, a style-oriented NYC centric dog blog, in 2009 as a way to share with other dog lovers some of the luxury/cute/insane products for pets that are out there (and her bad jokes). She is by no means a pet expert or professional, just a girl who loves her dog very much and hopes you’ll enjoy her crazy dog stories and pet-friendly finds. Paddy is a 4-year old Maltese-Yorkie mix (aka Morkie), who is a selective listener, picky eater, and will pretty much do anything for a piece of cheese. She originally hails from the Midwest. For more information about Barkzilla, please see our disclaimer page.